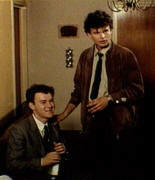 These are rare close-up pictures captured from "The Graduates", where Tudor was the negative character, opposing Stefan Banica junior, Oana Sarbu, and Mihai Constantin. 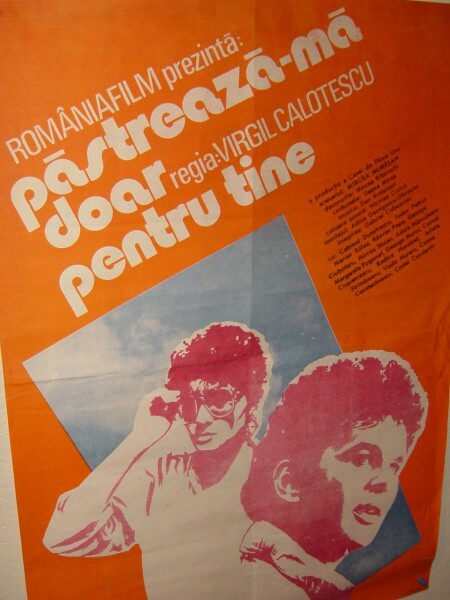 Produced in 1986, "The Graduates" is the second most successful movie in Romanian film history, and still growing. 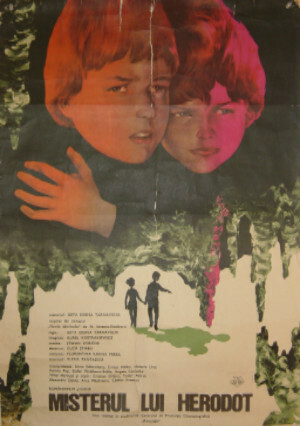 (Photos courtesy of RomaniaFilm, original movie poster from the Ma Vie en Blonde collection). In seventh grade, Tudor and classmate and good pal Cristian Orascu were discovered by director Geta Doina Tarnavski while roaming the school yard and trying to be funny. It morphed into a film adventure, The Mystery of Herodotus, a youthful story that generations of kids enjoyed. Second time in two films, Tudor is dumped by his girlfriend, now in Keep Me for Yourself, a rom-com starring the lovely Catrinel Dumitrescu, and Tudor's buddies Marian Ralea and Razvan Popa. 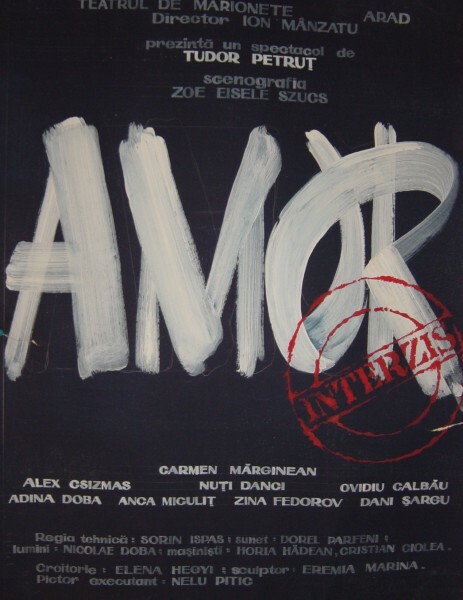 Directed by Virgil Calotescu, vividly shot by old friend Gabriel Cobaznian, this is still beloved by the jilted one. 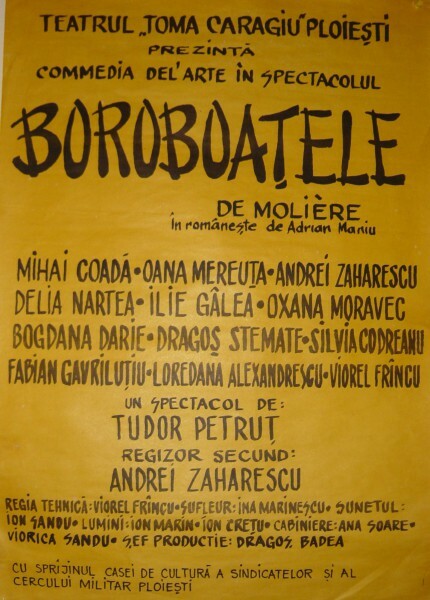 Originally performed as his master's directorial exam at the Theatre and Film Art Institute - with Tudor in one of the leading roles - the adaptation of Moliere's Le contre temps was later picked by, and became popular for the Theater of Ploiesti (yes, the city havily bombed by the Allies at the end of WW2). Invited by friend and classmate Ion Manzatu to open the Euromarionettes festival in the city of Arad, Amor was a stage happening with actors and puppets, imagined by Tudor as a play without words. The festival itself was full of magic and exceptional theatrical craftmanship. 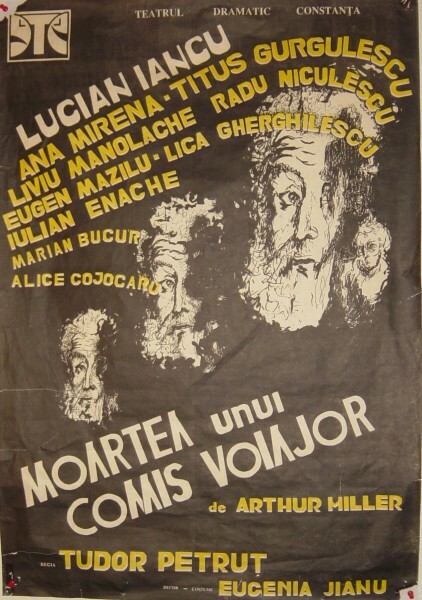 After spending time in California, Tudor returned to his theatrical roots for the Drama Theater of Constanta. His rendition of Arthur Miller's Death of a Salesman was a inqiry into the human condition, a vibrating mirror into America that Romanian audiences appreciated. Some critics argued that it was too dark and fatalist.